The new week is upon us, and I figured it was time to drop a smoking hot garage punk 45. I can’t remember exactly when I first heard the Unrelated Segments mighty ‘Where You Gonna Go’ (though it was almost certainly in the ‘85/’86 range) but I can say with absolute certainty that it moved directly into a position of honor as one of my all-time favorites. Many things being easier said than done, it was a long, long time (close to 25 years) before I actually got my hands on a copy. 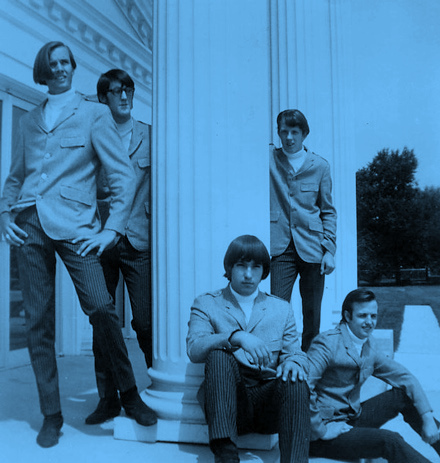 The Unrelated Segments were one of a number of rock and soul groups (including the Tidal Waves and the Four Gents) that were part of the Detroit, Michigan-based SVR Records stable. They all had tracks licensed to Hollywood, California’s HBR (as in Saturday morning cartoon juggernaut Hanna-Barbera) Records, and then later to Liberty. 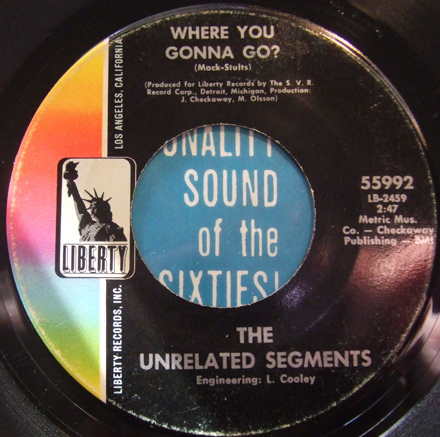 In many ways the Unrelated Segments are an example of a classic, ‘upper level’ garage punk outfit, in that they made the transition from local/regional labels to national distribution. They had a raw, undiluted punk sound and their 45s are some of the finest of the era. ‘Where You Gonna Go’ is unique in their catalog in that it seems to carry in its grooves the influence of the mighty 13th Floor Elevators. No matter how many times I listen to the track the first thing that grabs me is whatever the band uses (maybe plucked bass strings?) to approximate the Elevators amplified jug, and the rhythm guitar line that sounds like it was lifted right off of ‘Psychedelic Sounds’. 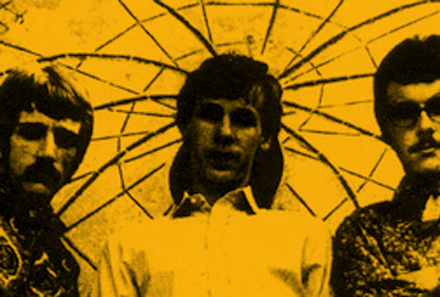 The flipside, ‘It’s Gonna Rain’ is a great, dark garage ballad. The band was together for a little over two years, releasing three killer 45s in 1966 and 1967, the last being the epic ‘Cry Cry Cry’. They were very popular in the Detroit area, with their records burning up local radio and the band playing at venues like the Grande Ballroom alongside legends like the MC5. As the fam and I will be away for a combination vacation, DJ excursion (I’ll be spinning funk and soul for two nights in western Massachusetts, see Funky16Corners for the deets), I have decided to repost two very simpatico mixes for you to chew on while I’m away. Iron Leg Digital Trips numbers 5 and 32 really do belong together, with the latter being intended as a sequel to the former. 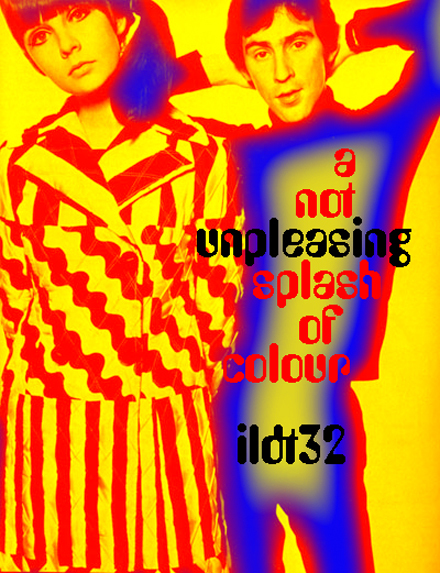 They are my take on the Au Go Go vibe of the swinging 60s, with all manner of groovy stuff stitched together from soundtracks, library music, jazz, pop, soul, funk and kitsch. You can read the original manifesto here. So mix yourselves up a cocktail, pull down the ones and zeros and I’ll be back next week with some garage punk. I hope that the new week finds you well. The tune I bring you today is yet another cog in the machine that is my 60s LA rock obsession. 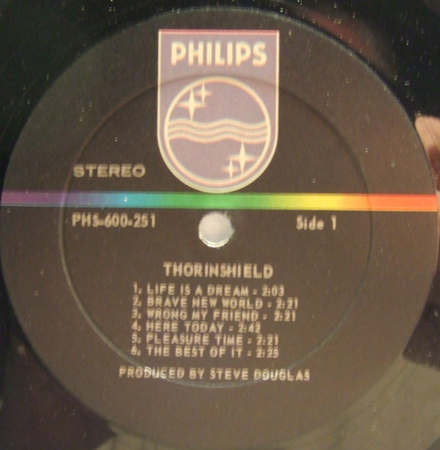 I would have to admit that I knew of the sole, self-titled LP by Thorinshield as a rare album (mainly via recognition of its cover) for years before I ever heard a note. 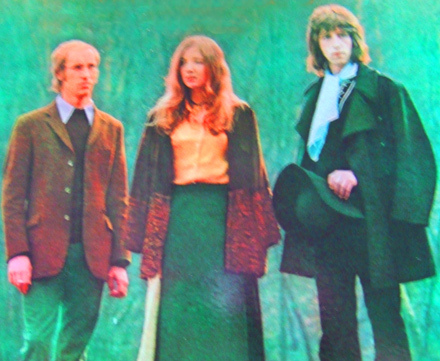 I’d seen the record in a number of record digger’s ‘finds’ posts, and I’d heard the name, but aside from vague inferences of psychedelia – via the look and the milieu from which the band sprung – I knew nothing about them or their music. Then, sometime in the last couple of years I heard the track ‘Daydreaming’, after which I started to seek out the record in earnest. The biggest surprise for me (once I got my hands on a copy) was how far the music fell from all of the ‘sunshine pop’ lip service I had seen applied to it. 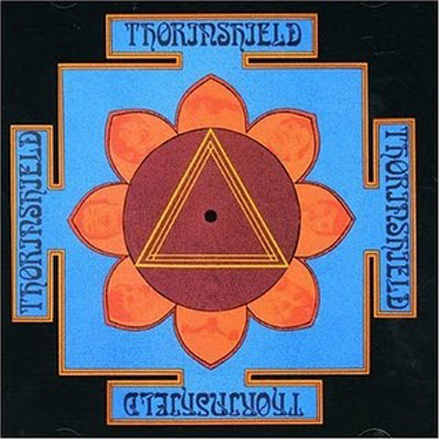 Released in 1967 on the Philips label, the Thorinshield album is a fantastic piece of what I would term ‘transitional psychedelia’, in that instead of being redolent of a specific spot on the time (or sound) line, it manages to draw from a number of different vibes – if you will – bridging the gap between them. Thorinshield – guitarist Jimmy Smith, drummer Terry Hand and bassist Bobby Ray – managed to bring together prime Sunset Strip folk rock, baroque touches, and early psychedelia to weave a unique sonic tapestry. Though I’ve heard the members of the group dismissing the orchestration of the album for obscuring the sound of the band, the arrangements by Perry Botkin are for me what really ‘makes’ the album. Though I dig the songwriting and performing a lot, the orchestral touches really add a lot to the album. While I suspect a lot of artists would take issue with this statement, many of my favorite albums probably wouldn’t be the classics they are without a first rate arranger dressing things up, especially the debut albums by Biff Rose (a neglected classic, IMHO) and Nick Drake. The track I bring you today, ‘Wrong My Friend’ is my favorite on the album, with a Byrds-y vibe, great harmonies by the band and great arrangement. It really has the feel of LA right before things went all hippy, i.e. progressive without being self-indulgent, maintaining its stylistic ties to the fertile world of the 66/67 Sunset Strip. It’s a great artifact of a very brief, musical window in time, and worth finding on CD (or if you’re lucky, vinyl) so you can hear the whole thing. I hope you dig it and I’ll see you next week. librarian, a witch and an LSD chemist join forces to solve crimes. I have something very interesting for you all this week, so go trundle off to the Hippie division of the Hammer Films costume archive and hurry back. I was out digging at one of the Asbury Lanes garage sales last year and I happened upon the album you see before you, took one look at the cover and pulled it from the box, placing securely in the keeper pile. I mean, how could any sane record fiend (contradictory terms, but bear with me) see that group listed at Marian Segal and Silver Jade with the title ‘Fly On Strangewings’ and not buy it immediately? I’ve been a UK folk rock fan for a long time (big ups to the Fairports and the Drakes and every witchwhatwho) and though I’d never heard of this particular group, it was immediately obvious to me that they were part of the very same bag (the DJM label clueing me in to the fact that they were English, their name and look clueing me in to everything else). When I got the album home and slipped it under the needle, my suspicions were confirmed, and then some. What I’ve been able to find out is that Marian Segal (vox, guitar) got her start in a duet with Dave Waite (stringed instruments), joining Rod Edwards* (keys, vox) in the studio in 1970 as Jade (their much longer name on this album due to some trans-Atlantic confusion with an American ‘Jade’). They were supported by a veritable who’s who of UK psyche-into-prog musicians, including John Wetton, Pete Sears, Clem Cattini, Pete York and Mick Waller, and the album they created is not only wondrous and magical, but also some of the best Fairport Convention not actually recorded by Fairport Convention sounds ever committed to tape. I should stop here and pull back a bit, because to suggest that Jade/Silver Jade were merely some kind of Fairport rip-off would be both unfair and incorrect. The thing is, when you listen to this record, it is IMMEDIATELY apparent, and inescapable to make the assumption that Ms. Segal and the famed Ms. Denny were sharing a set of vocal cords. The similarity is positively uncanny, and so someone not completely tuned in to a nuanced take on the Fairport sound might be forgiven for mistakenly assuming that what they were hearing was the firm of Denny, Thompson, Matthews, Hutchings, Lamble and Nicol. While Marian Segal and Silver Jade certainly draw from the same mixture of US West Coast freak sounds and British Isles leprechaun/faerie juice, I would say that Jade has a touch more classic UK psyche in their soup as well as (thanks to the later date, a touch of the prog). Case in point, ‘Amongst Anemones’, which sounds like they got some Fairfield Parlour in their peanut butter. ‘Fly On Strangewings’ is a touch more modern, sounding exactly like an lost Fairport Track, and I mean that in the most positive way possible. It’s with a song like this that it is possible to see why Jade/Silver Jade didn’t go further, that being sometimes too much of a good thing (i.e. the Fairport sound) is for the listening/buying public quite actually too much, and those that came later often fall by the wayside, in this case unfairly. The album as a whole is quite good. When I was digi-ma-tizing, I ended up recording the whole thing and giving it repeated listens. Fortunately, Ms Segal has a very nice website with exhaustive information on her musical history, before and after Jade/Silver Jade. Of particular interest is a gig history of the group that has them appearing on UK TV alongside Matthews Southern Comfort, as well as the fact that they did a mini-tour of the US with extended stops in New York (Bitter End), Chicago (Gate of Horn, and apparently local TV) and Los Angeles (the Troubadour). You can also purchase reissues of various and sundry Marian Segal-related material, including this very album.